2019 will witness the rise of the occult! 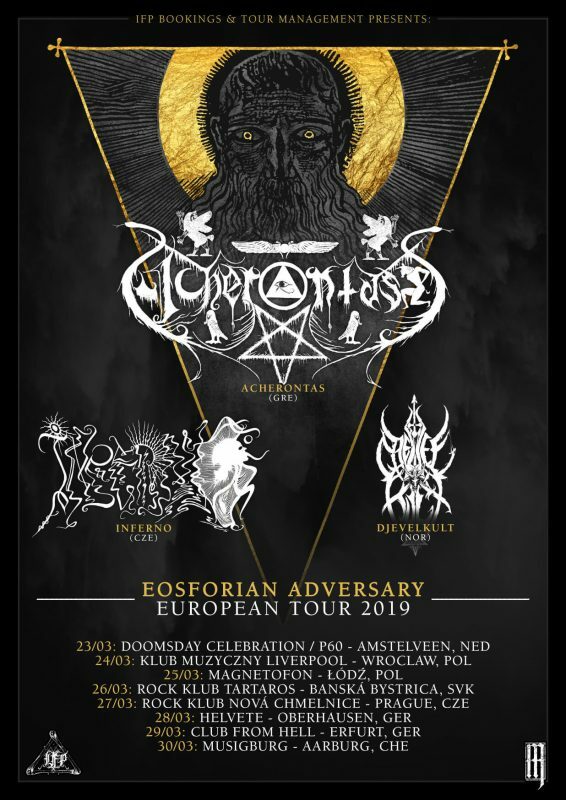 The mighty ACHERONTAS from Greece will lead their coven across Europe, performing their rituals in the Netherlands, Poland, Slovakia, Czech Republic, Germany and Switzerland. Alongside the Greek headliners, the Czech horde of INFERNO and the Norwegian bastards of DJEVELKULT will spread their dark wisdom and lay waste to the venues.